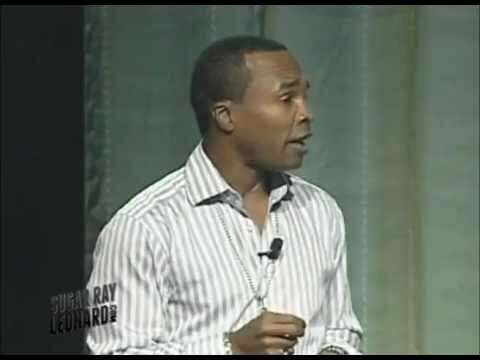 An Olympic athlete and world champion boxer, Sugar Ray Leonard shows us how to set our fears of the unknown aside with preparation, focus, discipline, determination and attitude. Leonard took home Olympic gold and fought his way to world championships in five weight classes, a record still standing today. Voted “one of the top 25 athletes of the last 25 years” by ESPN, he is a successful entrepreneur who started his own sports promotion firm. 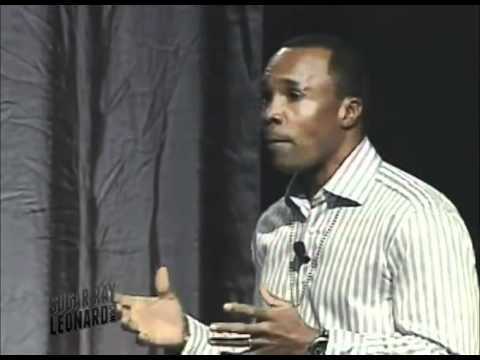 In 2009, Leonard and his wife founded the Sugar Ray Leonard Foundation to raise funds for research and awareness towards a cure for Type 1 Diabetes and to help children live healthier lives through diet and exercise. Official Site: Sugar Ray Leonard Official Site: Sugar Ray Leonard Foundation Book: "The Big Fight: My Life In and Out of the Ring"
Legendary sports icon, Olympic champion and Hall of Famer, philanthropist, bestselling author, television personality, ringside analyst and longtime face of Skechers’ popular Relaxed Fit collections, Sugar Ray Leonard has established a legacy that epitomizes boxing and invokes the reverence of a champion. Leonard’s illustrious career outside of the ring merits like admiration, as a vanguard in the cultural movement that has brought the sport of boxing front and center today; Leonard also helms the Sugar Ray Leonard Foundation which celebrates its 10th anniversary this May, committed to funding life changing research for pediatric type 1 & type 2 diabetes, and helping children build early healthy habits. At the age of 20 (1977), Leonard won his first professional fight, only setting the stage for a collection of the most memorable fights in all of boxing history. He went on to defeat some of the greatest boxers of the modern era, from Wilfred Benetiz to Roberto Duran, Thomas Hearns and Narvelous Marvin Hagler, from whom Leonard won the world middleweight title. During his 20-year professional career, Leonard also won world titles in the welterweight, junior middleweight, super middleweight, and light heavyweight divisions— the first boxer to win world titles in five different weight classes. In 2011, Leonard published his first autobiography (Viking Books) THE BIG FIGHT: My Life In and Out of the Ring. In the inspiring autobiography, the boxing legend vulnerably confronts his greatest competitor: himself. Sugar Ray Leonard’s raw and uplifting memoir reveals in intimate detail for the first time the complex human who waged his own personal battle with depression, rage, addiction and greed, that lay behind the champion. Leonard’s charismatic personality and expert ring knowledge led to a successful career as a television broadcaster for NBC, ABC, FOX, HBO and ESPN, also featured as the international commentator for the record-breaking Mayweather vs. McGregor fight. Other television credits include three consecutive seasons as host and mentor in the Emmy-nominated “The Contender,” and a fan-favorite contestant on ABC’s still reigning competition series, “Dancing with the Stars.” Now, Leonard joins the DAZN broadcast team, the live and on-demand sports streaming platform, providing ringside analysis for Matchroom Boxing. On the silver screen, Leonard appeared in the critically-acclaimed Paramount Pictures film The Fighter, also expertly consulting for DreamWorks and Walt Disney Pictures’ on Hugh Jackman’s Real Steel. Perhaps most importantly, some of Leonard’s most impactful work is yet to be done. With a deep calling towards and passion for humanity, Leonard has always been devoted to his community and to helping those in need. In establishing The Sugar Ray Leonard Foundation in 2009, Leonard and his wife, Bernadette took changing the world into their own capable hands. Since its inception a decade ago, the foundation has funded countless research projects and offered life changing patient care for children living with type 1 and type 2 diabetes. Furthermore, the foundation is also committed to helping children lead healthier lives through diet and exercise, equipping them with the tools to be successful in health later on. Leonard also lends his time to Habitat for Humanity, serves as co-chair for the Ambassadors of Children’s Hospital Los Angeles (CHLA) and remains the international chairman of the Juvenile Diabetes Research Foundation Walk for a Cure. Leonard has four children and lives in Southern California with his wife, Bernadette. Whether achieving greatness as an athlete or in the business arena—the same qualities that drive success apply: discipline, focus, determination, preparation, the right attitude and setting fear of the unknown aside. 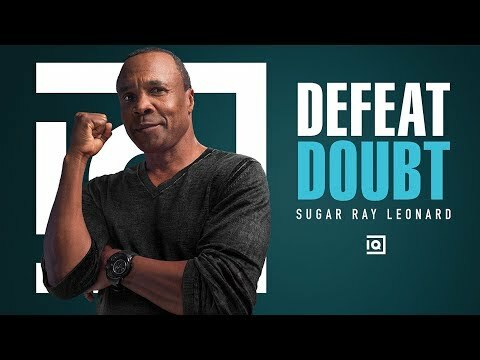 Sugar Ray Leonard makes a powerful case for his principles of success with a sense of humor and a smile that lights up the room. An enormously charismatic figure, Leonard walks the stage telling stories that paint strong pictures for his audience—stories of what it took to reach his dream of Olympic gold, of what it took to get to the top in his professional career—and stay there, and stories of his journey to make the challenging transition from life as an athlete to that of an entrepreneur. Making your dreams come true, staying at the top and dealing with change—all themes that people in every audience will relate to. 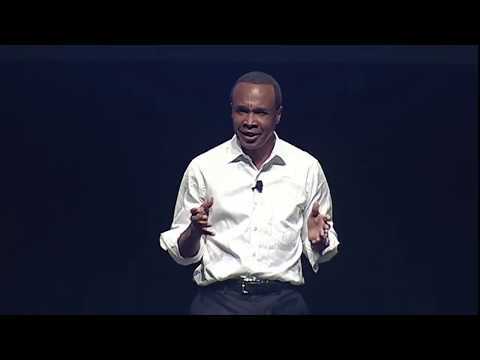 Sugar Ray Leonard is a masterful speaker whose audiences come away with a renewed enthusiasm and commitment to being the best. Sugar Ray Leonard has a passion to help fund research and awareness for diabetes and obesity prevention. In 2009, Leonard and his wife Bernadette started the Sugar Ray Leonard Foundation to benefit this cause. The Leonard’s have always been devoted to the community and to helping those in need. In 2012, the Foundation was able to help develop and sustain Children's Hospital Los Angeles Kids N Fitness program, a community outreach program focused on reducing the rate of weight gain in overweight youth by promoting sustainable lifestyle changes that encourage healthier eating habits and more frequent physical activity. Leonard also participates in and speaks on a variety of national and international causes benefiting children's charities. He connects with audiences through the sport of boxing, fitness and philanthropy.